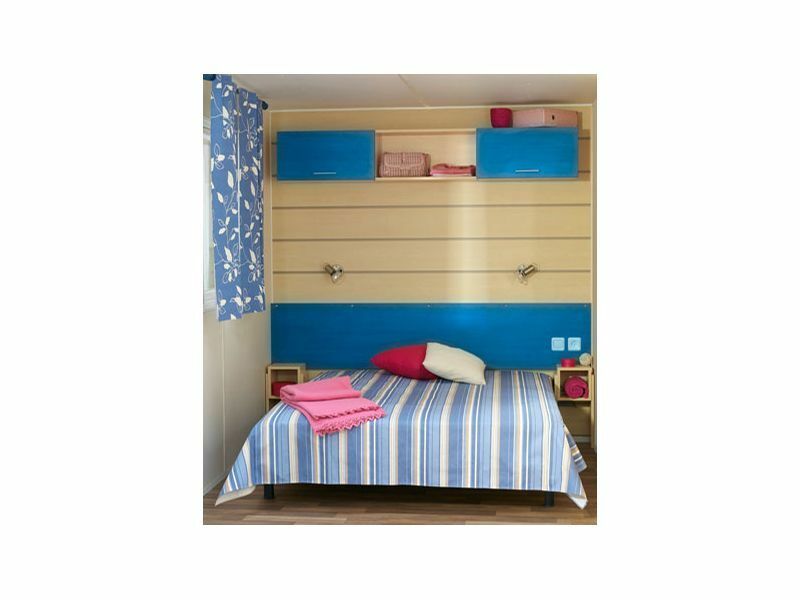 Especially created for the family, this mobile home is comfortable and functional. 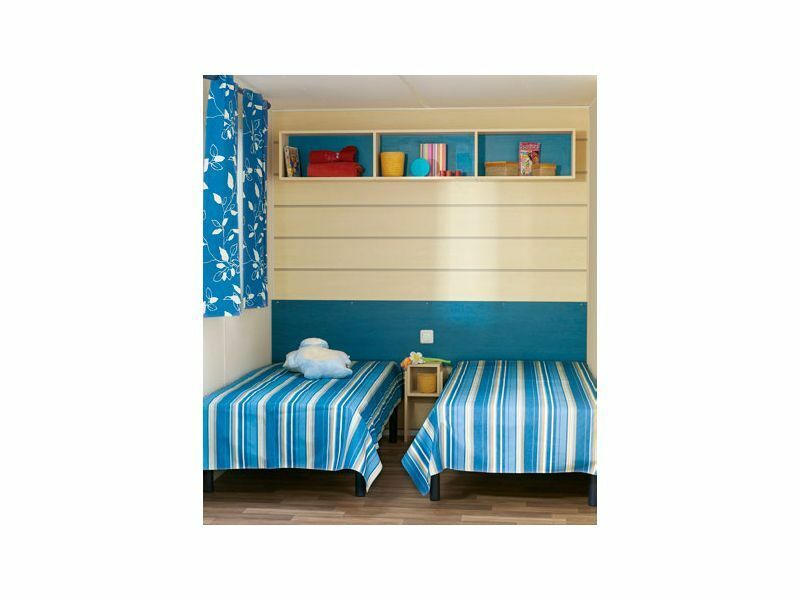 It has three bedrooms (one with a double bed, and the other two both with twin beds). 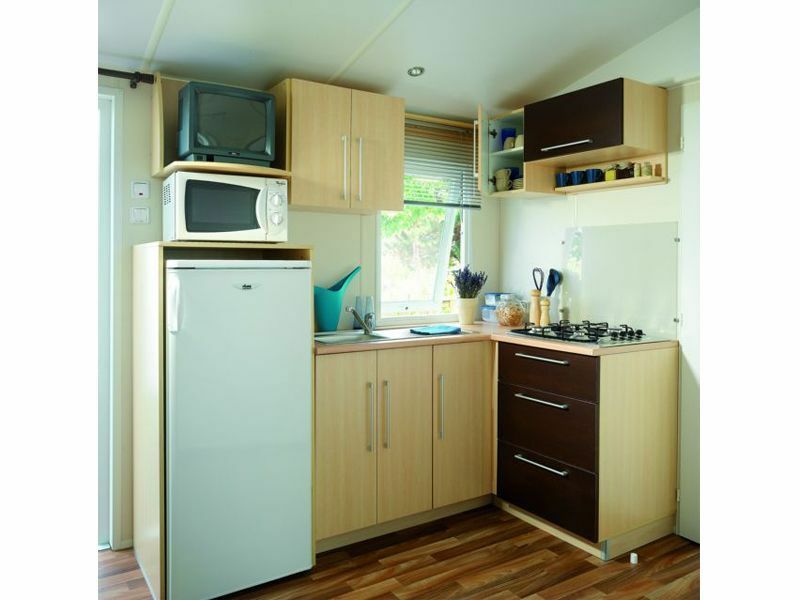 A light, lounge with fully equipped kitchen (hob, microwave, fridge/freezer), a bathroom with a shower and separate toilet. This campsite on the Dordogne has a private, covered terrace of 12 square metres with garden furniture. It's an ideal place to have barbeques and share family meals surrounded by the green hills in the Dordogne Valley. It's on the campsite Soleil d'Oc where you can find this family "cottage" which is an inexpensive holiday.